Cross-platform mobile messaging app, Whatsapp, recently rolled out a new update to its application which allows users to add certain characters before and after words or sentences to make them go bold, italic or with a line through the centre, known as a strikethrough. The feature was originally tested in beta but has now been rolled out to Whatsapp iOS and Android apps. hence, you can now add bold text in whatsapp android and iOS app. 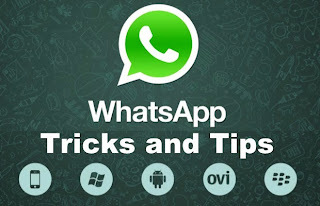 The Whatsapp formatting codes can also be used online via the WhatsApp Web Client, but the formatting will only appear in the app-based version of the chats. Other recent additions include the ability to share photos, images and other files stored on other third party apps – including iCloud, Google Drive, Dropbox and Microsoft’s OneDrive – with their contacts on WhatsApp. Beyond photos, the app added the ability to send and received PDF files. Once users receive the file they can see an in-line preview. More so, messages can be ‘starred’, to save them for later, and you can embed a previous text in your reply, like a Quote-Tweet on Twitter, and forward content to other conversations.